Breakfasts should be a piece o’ cake… in a manner of speaking. Even though the last thing you want to eat for breakfast is cake. Breakfast is the meal that gets everyone up and moving. After a night of sleep you wake up hungry. And you need the nutrients that a good and healthy breakfast offers to keep you at your sharpest. 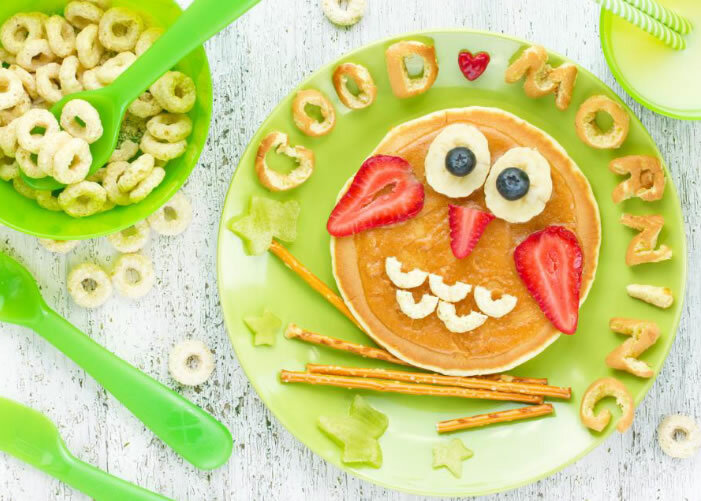 It has been proven over and over again that a child who eats a healthy breakfast does better in school and is more likely to have the get-up-and-go mentality to take part in physical activities. The nutrients aid concentration and brain development. They boost your memory and your energy levels and aid in hand-eye coordination. They’ll also help you to be more creative. And healthy foods will keep you healthy. Children miss fewer days of school! And starting the day off right will promote good eating habits throughout the day. And once you start a habit like that, it can go on forever! The ideal breakfast would include protein, fruit, grains, dairy products and vegetables. It’s not likely that you’re going to get all of that into one meal in the morning, but it’s worth a try. You can keep a stock of breakfast foods in the refrigerator or cabinet or the freezer. That way you’ll always have something to work with even if you’re in a rush. Add it to your shopping list. Below are the basics. 1. Eggs. There are so many things to do with them that sometimes you wish you had a chicken out back someplace. 2. Bagels and English muffins. Whole wheat is best, and you can keep them in the freezer for a long time. 4. Cereal. Hot or cold, all kinds, but nothing with sugar, please. You can add a teeny bit if you have to, but otherwise use cinnamon or fruit as a topping. Or raisins. 5. Whole or low-fat milk. 7. Fruit. Either fresh or frozen will do. This will depend on the season and where you live and your budget. (Fruit roll-ups can have a lot of sugar. Check the labels.) Keeping some frozen fruit in the freezer is a great idea. You can use it in so many ways. -About 4 ounces of 100% fruit juice equals one serving of fruit. But since juice lacks the fiber and other nutrients of whole fruit, be sure to offer your child whole fruit as well. 9. And of course you must have peanut butter in the house! These foods make up what most of us think a breakfast should have. It’s how you put them together that makes them special. 1. You need a liquid. Most people use milk for the starter. This can be dairy milk or soy or almond or coconut milk. You can use juice, too, but don’t forget that it shouldn’t have sugar added. You can also use yogurt or water. Water works fine if you’re going to add either fresh or frozen fruit. 3. 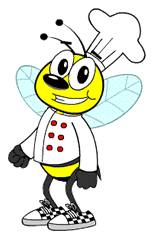 And a few more add-ons… think about flavorings like cinnamon or honey or vanilla extract. You can use peanut butter to add thickness, too. For a real protein punch you can toss in protein powder. Chia and flax seeds are both good sources of omega-3 fatty acids and are nutrient rich.You can poke around in a health food store for more ideas. 4. Now comes the ice. If you want your smoothies to taste cooler and be thicker add some ice cubes. Start with a few, you can always add more. 5. BLEND. You will want to blend the ingredients until the liquid is completely circulating for at least 5 to 10 seconds. The liquid at the top should be swirling and diffusing back down to the bottom. It can take up to 45 seconds for this to happen depending on the power of your motor and how full the container is. Blenders start at about $24 and can go all the way up into the hundreds. You can also find them at thrift stores and garage sales! 6. The best part of making a smoothie is that your little ones can take part. They can tell you exactly what they want and can have a different flavor every single day. And if you feel like adding food coloring, you can practically serve a rainbow! Round up the usual suspects! If you think of a Denny’s breakfast menu you’ll most likely imagine eggs and potatoes and probably some fruit. Eggs are a mainstay for breakfast. If you’re going to make some, remember that your children can help. They can crack the eggs, or stir them, or watch them cook if you poach them. You can put a poached or scrambled egg on a muffin or bagel. You can keep a bowl of hard boiled eggs in the refrigerator and in the time it takes the muffin to toast, you’re just about done! Add a banana to the plate and in 5 minutesbreakfast is served. Ohhhh! Pancakes! Or waffles! To save time you can make pancake or waffle batter the night before. You can serve them with low-calorie syrup or pile them up with fruit. You can eat some fruit on the side and low-fat yoghurt. You can even add a scrambled egg to the top. You can make French toast with just about any bread in the house. Soak the bread in a combination of eggs and milk with a splash of cold water. Once the bread is soggy put it onto a griddle or into a pan with some melted butter. Cook it as light or dark as you like. As with the pancakes, pile them up with fruit. It will taste like dessert. Matzo brei is a lot like French toast. It’s pronounced motzoh-bry in case you’ve never heard of it. Buy a box of matzo – they last for months and months if you keep the box closed – and take out a sheet or more of matzo. Break it into smaller pieces and soak it in an egg and milk mixture. Melt some butter in a pan, and then keep stirring it as it cooks in the pan. When it’s finished the pieces will be flimsy. Top it with apple sauce or jam or preserves. No syrup for this. Make a combo sandwich. Toast one slice of bread and put a thin layer of mustard on it, then slice a hardboiled egg on top of it. Top that off with some low-fat cheese (Swiss is yummy) and put under the broiler until the cheese is gooey. You can add some tomatoes before or after you heat it. Cottage cheese is a great base for eating fruit for breakfast. The fruit can be fresh or frozen, thawed of course, or even canned. (Again… read the labels!) Put a slice of whole wheat bread or a warm muffin on the side and you’re all ready. No cottage cheese lovers? How about yogurt? Be careful if you buy the flavored kind. There are lots of hidden calories in there. This isn’t a big problem for most kids who are going to run around all day, but you want to keep an eye on it. Flavor your own cream cheese! You can stir in frozen or in-season cherries. 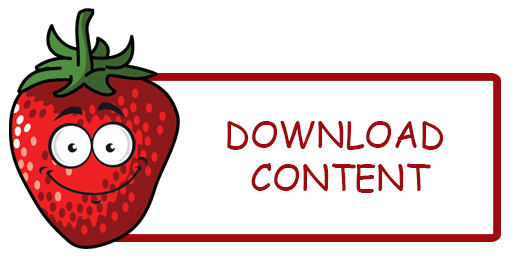 Or strawberries. You can make your own lox/cream cheese spread. Ask your child what she’d like and let her do the mixing. Then put it on a bagel and everyone’s happy. Did you know that you can make whole grain cereal in a slow cooker? Put it all together before you go to bed, and when the morning comes, it’s ready to be eaten. No one has to wait for anything! And while we’re on the subject of cereal, you already know to read the labels. Don’t be fooled by the TV commercials. The labels will show you that sometimes even serving sizes vary. You want the lowest sugar content you can find, and you can sweeten the cereal yourself with fruit and other flavorings. A good dry cereal has at least 3 grams of fiber per serving, but 5 grams or more is better. Even just a friendly little banana will make an otherwise tasteless cereal delicious. Do you know what people around the world eat for breakfast? Some of it sounds mighty strange, and even funny to us, but that’s part of what makes the world go around! Read on and see if any of them give you ideas for your own breakfast. In England a popular dish is called Bubble & Squeak. Isn’t that a great name? It’s because of the sound it makes when it cooks. It’s a meal that’s made from the leftovers of a roast beef dinner, and often served with bacon and eggs. People sometimes eat it for dinner, too. An idea! Why don’t you let your kids make up names for their favorite meals? See who can make you laugh the hardest. “Huevos Rancheros” is a popular Mexican breakfast dish, and it’s not uncommon to find it here now. Over-easy eggs are served on warm tortillas with salsa spread under or on top of the eggs. They are usually served with melted cheese with beans and rice and avocado slices on the side. It’s not only delicious; it’s beautiful to look at. In Japan a lot of people start the day with miso (pronounced mee-so) soup. It doesn’t take long to cook, which makes it easy in the morning. At its most basic, it’s a blend of miso (fermented bean paste) and dashi (stock). It can be can be salty or sweet depending on the miso, and loaded with veggies or other additions depending on the cook’s imagination.Maybe you’d like to try this on a brrrr morning. See how adventurous you all are. In Sweden a lot of people like Pannkakor, which is a lot like a crepe, which is a lot like a skinny pancake, and they serve it with a sweet fruity filling. In France many people just have a croissant or baguette with some cheese or fruit along with with hot chocolate. This is because they’re going to have a large meal for lunch. Or they mighthave press-toasted baguettes containing sliced ham and cheese, known as paninis. The same is true in Italy. The traditional breakfast in Italy is simply caffè e latte (hot coffee with milk) or coffee with bread or rolls, butter, and jam. A cookie-like hard bread called fette biscottate and regular cookies are commonly eaten. Children drink hot chocolate, plain milk, or hot milk with very little coffee.In some regions such as Tuscany and Umbria, in the past, some children and adults alike used to drink red wine, usually Chianti, in which they would dip their biscuits. This is an historical fact… not a recommendation! In Australia many of the natives eat Vegemite on toast for breakfast. Vegemite is a spreadable yeast extract that smells like yeast fermenting in water, like a huge blast of salt. And it’s having its 90th birthday this year. It has been quipped that “it will strip paint”, but we couldn’t tell you for sure. It’s available in the USA, if you’re brave enough. Banana bread is a favorite for breakfast in the Caribbean countries. That sounds a lot more like us, doesn’t it? We can do that here, too, as well as try some zucchini bread. Delish! In China they often start the day by eating a bao (pronounced bow). This is a pillowy or soft bun that is either steamed or baked and then filled with a variety or ingredients. This is not something you want to make at home unless you have plenty of time! When you get right down to it, breakfast can be anything. People around the world eat all sorts of things and manage to keep on going. All you want out of this morning meal is enough nutrients to make you feel good and take care of your dietary requirements. If you have a picky eater in the house who will not go the entire healthy eating routine in the morning, you can make up for it later in the day with healthy snacks and the remaining meals. You want to start the day off happy. Most kids really like breakfast because they’re hungry. Make them a part of the process and you can all be smiling as you start the day. 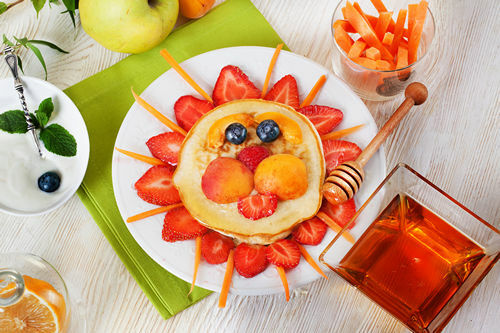 And who wouldn’t smile at a funny face made of fruit on a pancake?